Shirley Williams - Midewiwin and a member of the Bird Clan from the Wikwemikong Unceded Territory on Manitoulin Island. 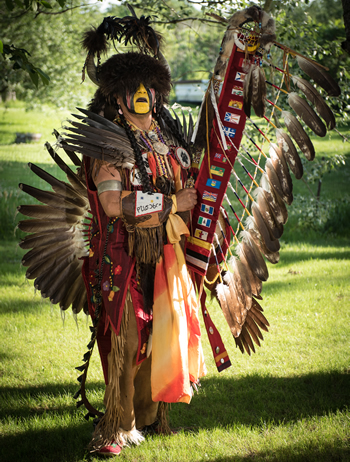 Elder Williams is Midewiwin and a member of the Bird Clan from the Wikwemikong Unceded Territory on Manitoulin Island. She credits her parents and Elders for teaching her the language and knowledge of her people, motivating her to teach the language and giving her the framework upon which to do so. A survivor of Canada’s residential school system, Elder Williams vowed to always make learning inspirational and fun for her students. Identified by former Governor General Adrienne Clarkson as a Role Model for Survivors, Elder Williams is Professor Emerita at Trent University in Peterborough, Ontario, where she has taught and researched the Anishinaabe language since 1986. She is the only Indigenous person in Canada to achieve the rank of full Professor as a Dual Traditional Scholar, recognizing her traditional Indigenous knowledge, as well as her outstanding research and publication record. Elder Williams is a Student Cultural Advisor at the University of Ontario Institute of Technology and Durham College. She also contributes as an Elder at Trent University and Sir Sandford Fleming College’s campuses in Peterborough and Lindsay. She continues to design and deliver language and cultural knowledge courses. Elder Williams has published important Anishinaabemowin-language teaching resources on topics ranging from animals to hockey to treaties through her publishing firm, Neganigwane Co. She contributes simultaneous translation services for various organizations including the Ontario Ministry of Education, Indigenous and Northern Affairs Canada, Heritage Canada and the Union of Ontario Indians. She advises the Chiefs of Ontario and Aboriginal Physicians of Canada on health programming. Her work has resulted in significant service delivery changes in major regional health-care centres in Sudbury and most recently, Toronto General Hospital. As an early advocate of computer technology as a teaching tool, one of Elder Williams’ first significant publications was a language CD-ROM using hockey as a platform to engage Elders and youth in learning the Ojibwe language and sharing intergenerational knowledge. 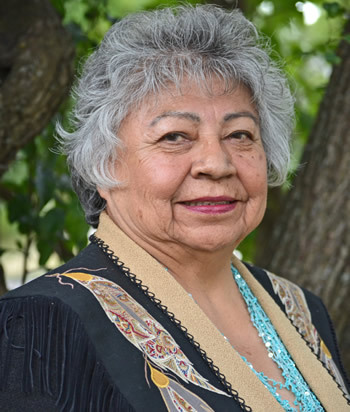 In 2016, she received the Canadian Union of Public Employees Award for Excellence in Teaching, confirming the integral role Elders play in the learning environment of universities. A lifelong learner, she is currently working towards her second-level Midewiwin degree. She holds a Bachelor of Arts degree in Indigenous Studies from Trent University, a Native Language Instructors diploma from Lakehead University, a Certificate in Curriculum Development from the University of Oklahoma and a Master in Environmental Studies degree from York University. Mary is an Algonquin Anishnawbe Kwe from Pikwakanagan First Nation who has made Oshawa her home for the last 18 years with her husband and daughter. Mary has worked diligently within the Aboriginal Community of Durham Region for the past 8 years. 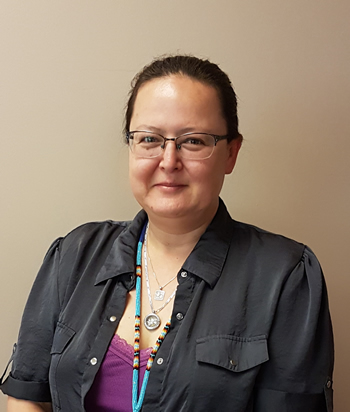 She is currently the Aboriginal Project Coordinator with Carea Community Health Centre and the President of Bawaajigewin Aboriginal Community Circle. Mary is a strong advocate for Aboriginal Families and Children in Durham Region and continues to strive to bring forward cultural programs and services for the benefit of all. She believes strongly in the Indigenous Worldview of our 7 Generations. The work she does is to help create better opportunities for the next 7 generations of our Indigenous children and youth. Cheri Maracle- is a multi-award nominated Singer and Actress from the Six Nations of the Grand River Territory, Ontario. Cheri Maracle is a multi-award nominated Singer and Actress from the Six Nations of the Grand River Territory, Ontario. Cheri has been performing in Canada, the U.S. and Europe in the last 20 years, and has extensive music, theatre, television & film credits to her name. Cheri’s early music influences began in Women’s traditional handrum group Tiyoweh. She then penned two original music albums, Closer To Home (2006), and If I Am Water (2013), to critical acclaim, both available on iTunes. Cheri’s original music style is jazz fueled, percussion driven, layered with her trademark smooth, sultry smokey vocals at once evocative, haunting and unforgettable. Her recent release, jazz CD, titled Ache of Love, reflects her passion for fiery torch driven diva inspired songs and is her most complex writing so far. Cheri nominated for the prestigious K.M. Hunter Theatre award 2007, and 2014 for her body of theatrical work, and from 2006-2008 was an artistic associate of the Dora award winning Aboriginal women’s theatre company, Turtle Gals. 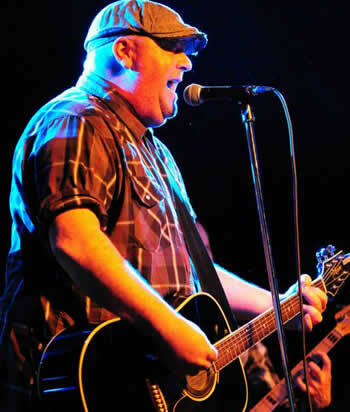 Selected theatre credits include; Paddle Song, One woman show, for High Performance Rodeo 2016, The Road to Paradise (Crow’s Theatre), The Road Forward, (Red Diva Projects), The Rez Sisters, (Belfry Theatre), Death of a Chief (The National Arts Centre, Buddies in Bad Times Theatre). Cheri’s role as Sarah Bull, on the critically acclaimed drama series Blackstone, earned her a Canadian Screen Award nomination for best supporting actress in a featured role, 2014. Selected tv credits include; DeGrassi,(CTV), Blackstone Three Seasons (APTN), Murdoch Mysteries(CBC), Moccasin Flats, 2 seasons (APTN, Showcase), Blackfly, 2 seasons (Global), Dead Man’s Gun, (Showtime), Co-host of the Indspire Awards, 2007 & 2014 (Global, APTN) Indian:suite (film), and award winning feature film Tkaronto (APTN).